I am a list maker. I honestly don’t know what it is about To Do Lists but I find that if I don’t write a list then my day is an unproductive mess! These lists make me feel organised and I focussed… but the downside is that my focus is always on just getting stuff done. It feels a bit superficial and all about the here and now… like taking out the rubbish, making school lunches, putting a load of washing on. And yes, I will even add a completed task to my to do list just so I can tick it off! So it would be fair to say that I am great at making lists… but terrible at taking a moment, breathing and focussing on what I truly want to achieve. Recently I realised that life is so much more than just a list of jobs to do. Life is about understanding who you are, what you want in life and the journey to get there; and that is how this journal was born. I wanted to create a beautiful journal that helps me to stop and reflect, to take time to enjoy the present and understand what I really want and how to get there but also appeals to my list making nature. 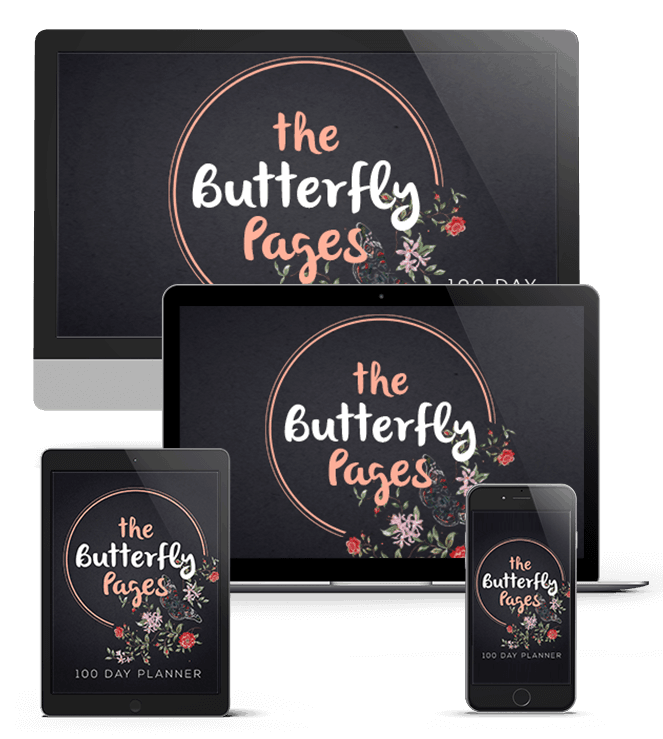 And if you were wondering why I’ve called it The Butterfly Pages… it’s because of two reasons. One I love the process of how a caterpillar can transform into a butterfly, this process is an excellent reminder that we can all change given some time and stillness. And also because I was inspired by the “Butterfly Effect”. Essentially the “Butterfly Effect” is a theory that a small change might have triggered a significant event. So I like to think that my small change is changing my To Do Lists into something more meaningful with this journal could have a profound affect on my health and wellbeing. 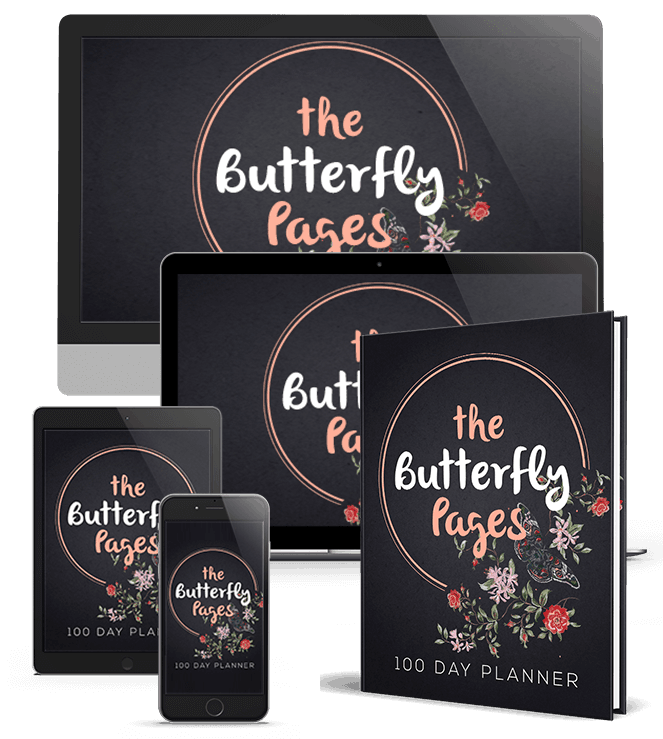 Because you are one of our special VIP customers I would love to offer you the opportunity to purchase our soon-to-be released 100 Day Planner - "Precious Moments" at a special early bird price. 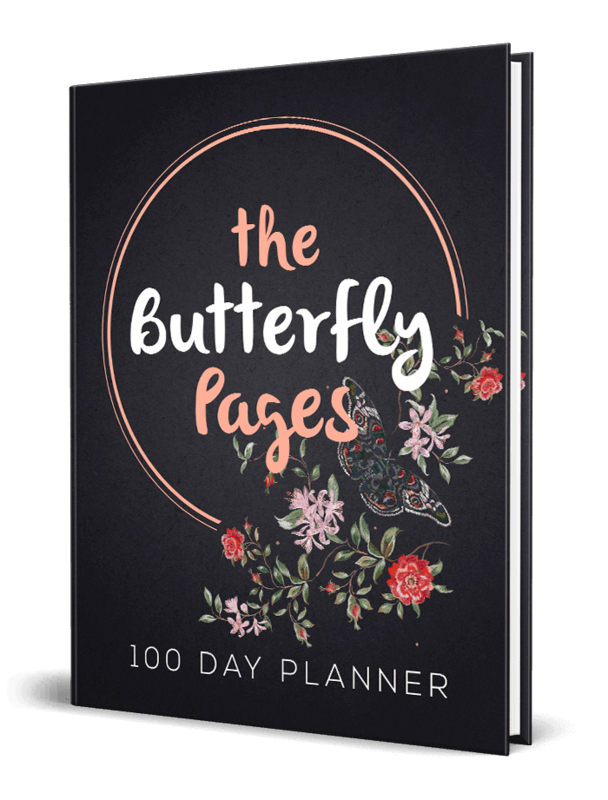 If you were to wait to purchase your copy of our new 100 day planner you would have to pay $59.95! But if you purchase it today I can offer you a ONE TIME ONLY price, as my way of saying ‘Thank You’ for saying YES to The Power of Hormones today… You can get the digital version so that you can download and print your own copy for my super special discount price of just $49.95! f you were to wait to purchase your copy of our new colouring book you would have to pay $109.95! But if you purchase today with our Digital & Physical Package I can offer you a ONE TIME ONLY price, as my way of saying ‘Thank You’ for saying YES to The Power of Hormones today… You can get The Digital & Physical Package for my super special discount price of just $89.95! If you were to purchase the physical edition from our shop you would have to pay $99.95! But if you purchase today with our Physical Only Package I can offer you a ONE TIME ONLY price, as my way of saying ‘Thank You’ for saying YES to The Power of Hormones today… You can get The Physical Package for my super special discount price of just $89.95!